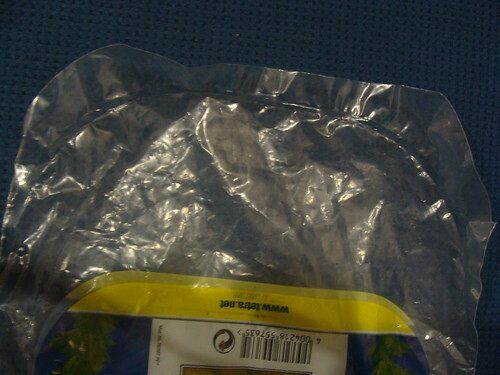 Montreal Apisto had indicated that he would like to see the bags in which fish are being packed in the Netherlands. So, here are 2 pictures with one detail where you can see that the corners are round. I think that if your plastic is thick enough you could do it yourself: just make a metal half round mould, heat it and put it some time on the bottom of the bag. The heat will make the plastic melt in the right form and seal. 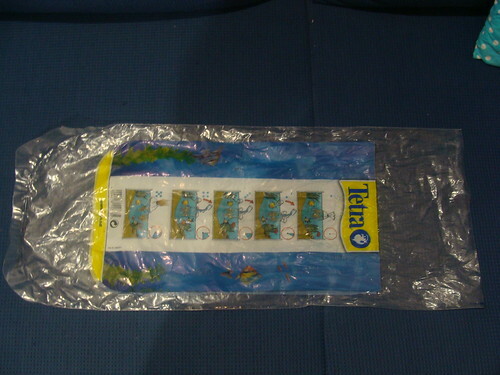 These bags only come in one size and are about 56 cm long and 24 wide, so you can imagine that my little fishes almost lost themselves in there! I assume that Tetra provides them for free when you sell their products as it is good promotion for them.